Getting ready for some California jeeping? 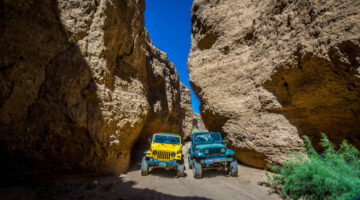 Jeep owners share their best tips for renting a Jeep in California, enjoying California Jeep tours, and finding the best places to Jeep offroad in California. 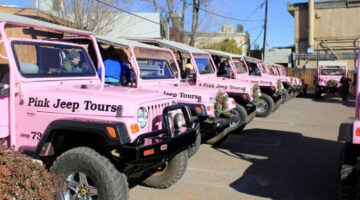 Looking for a Jeep Wrangler car rental? We’ve compiled the ultimate list of Jeep rental companies where you can rent a Jeep for a day (or a week) — and take it offroad if you want. This list of Jeep Wrangler rental agencies is organized by state… and country. As the owner of a Jeep CJ and living near the Oregon coast, I regularly ride the dunes. Here are my best tips for offroad driving on sand dunes. 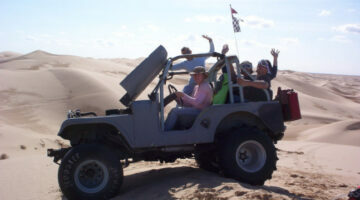 Fun Jeep Tours: Go Offroading With A Group!